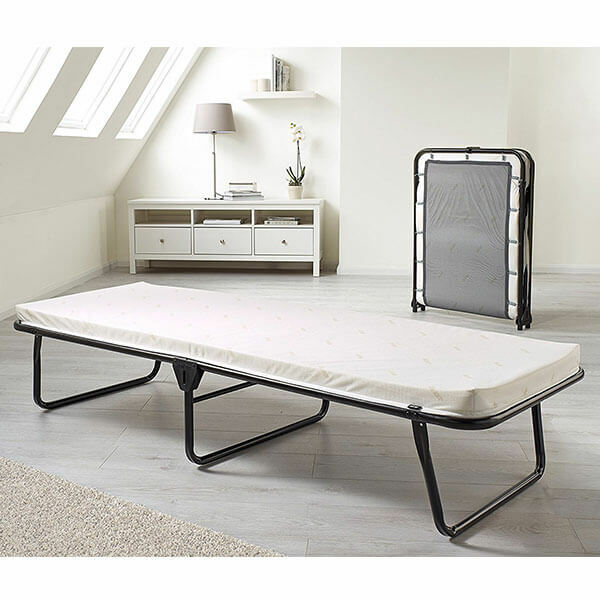 The Linon Home Decor Luxor Folding Bed with Memory Foam is a comfortable bed and mattress set that is made with a very durable steel frame. It features casters that make it simple to move and a sturdy metal tube frame with wooden slat supports for durability. Ideal for sleeping extra guests, the Layout Metal Folding Bed Frame with Memory Foam Mattress is a simple-to-assemble cot bed that is made with a 100 percent metal frame given reinforced, stable bars and a sleek-looking finish to top off the look. Easy to store when not in use, the InnerSpace Standard Folding Bed is a folding bed with a durable metal frame. It comes with caster wheels that make it simple to roll around the home and a four-inch high density foam mattress that comes with flamewatch protection. 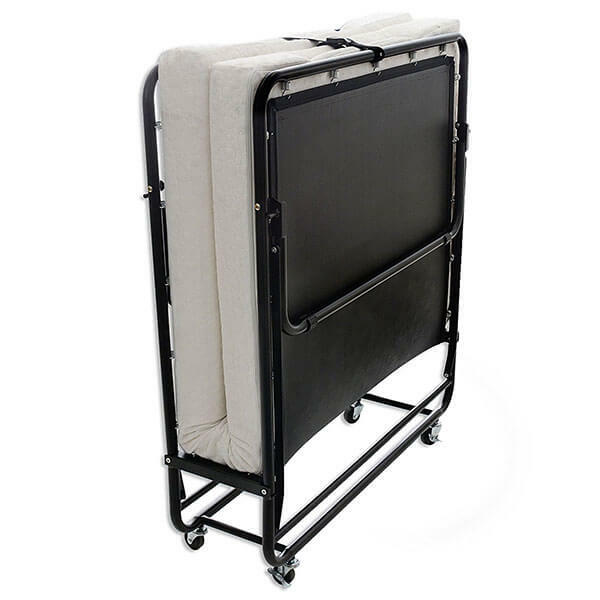 Simplistic and easy to use, the Milliard Premium Folding Bed with Luxurious Memory Foam Mattress is a simple-to-install bed that comes with caster wheels for easy mobility and a perfectly durable metal frame. It has a memory foam mattress complete with a soft removable cover. So comfortable, you wouldn’t believe it’s a rollaway! 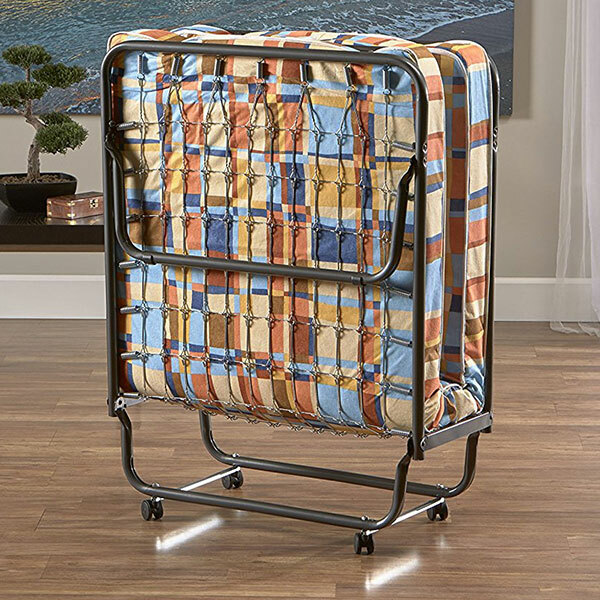 Classic in design, the Milliard Lightweight 74 by 31-Inch Folding Cot/Bed with Mattress is a folding bed on caster wheels that makes it simple to push through the home. 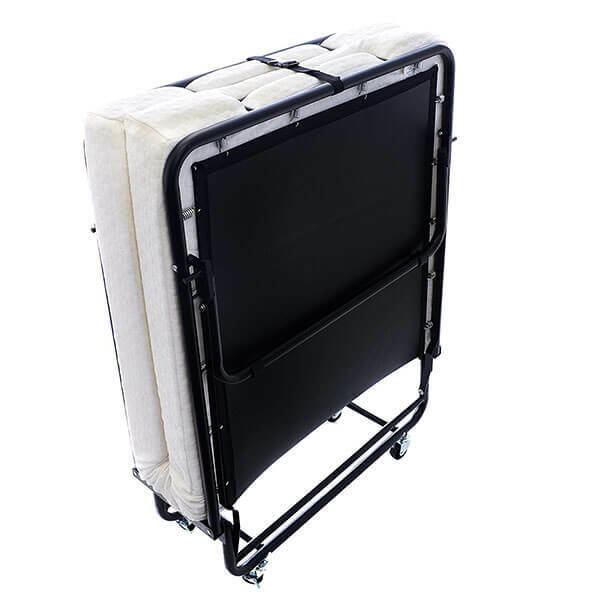 It has a super strong frame that supports a four-inch thick foam padded mattress for your comfort. 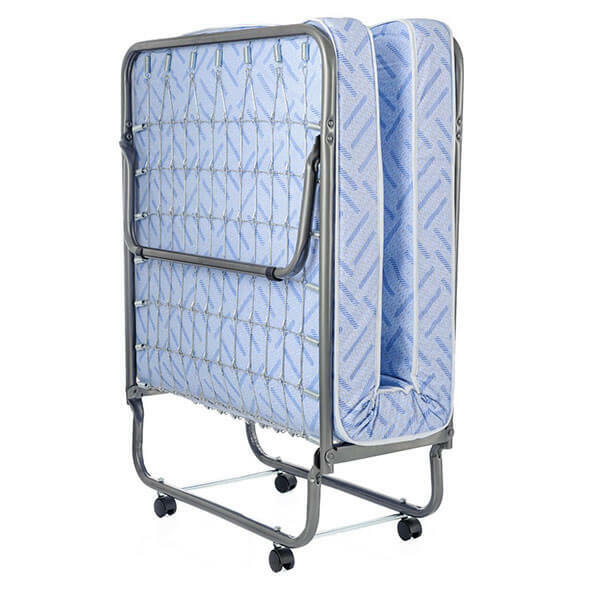 The JAY-BE Saver Folding Bed with Airflow Mattress is a durable cot that features a J-Tex sprung base system. This allows total support, durability and comfort for whoever lies upon it. 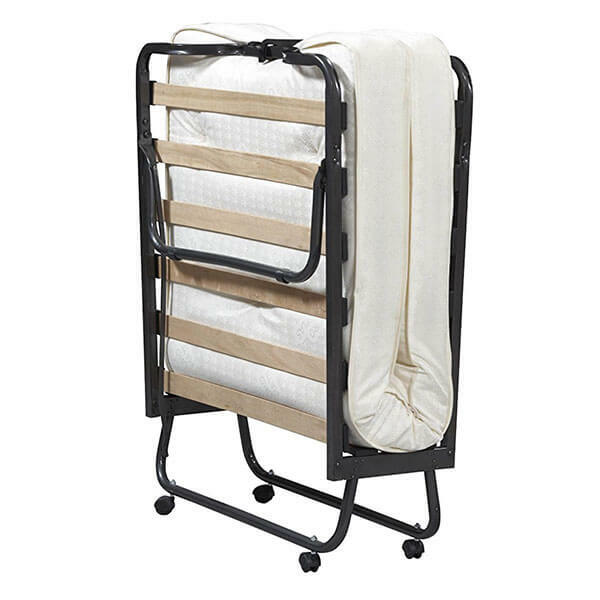 The frame has a durable powder-coated finish to ensure a stable sleeping arrangement for years to come.